The U.S. NTSB recommends the FAA to issue an airworthiness directive to require that all Cessna 560XL operators comply with Cessna service letter 560XL-53-08, which asks operators to drill a drain hole in the bulkhead. The National Transportation Safety Board (NTSB) issued this recommendation in the light of the investigation of three incidents involving Cessna 560XL Citation Excel airplanes that experienced loss of rudder control after ice built up inside the tailcone. Preliminary findings indicate that water can collect inside the tailcone and then freeze around and restrict the movement of the rudder boost cables and pulleys. As long as the frozen ice impedes the cables and pulleys, the pilot may be unable to deflect the rudder, which is particularly dangerous when attempting to land in a crosswind or maneuver on the runway. Normally, a pilot would not use the rudder during cruise flight and would not detect that the rudder was frozen until just before or after landing. 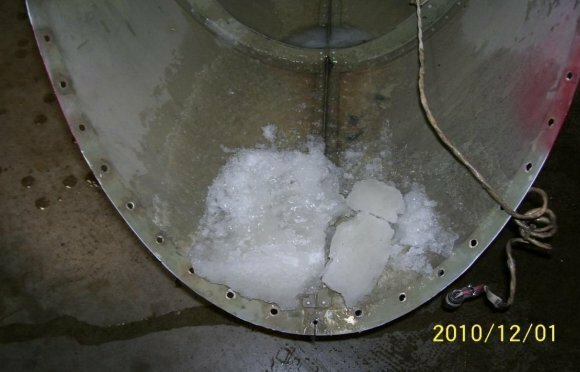 Although the investigations are ongoing, the information gathered to date has raised serious concerns about the potential loss of rudder control when ice builds up inside the tailcone.